Here it is a full week after the event and I am just now getting around to writing about it...it's been one of those weeks. 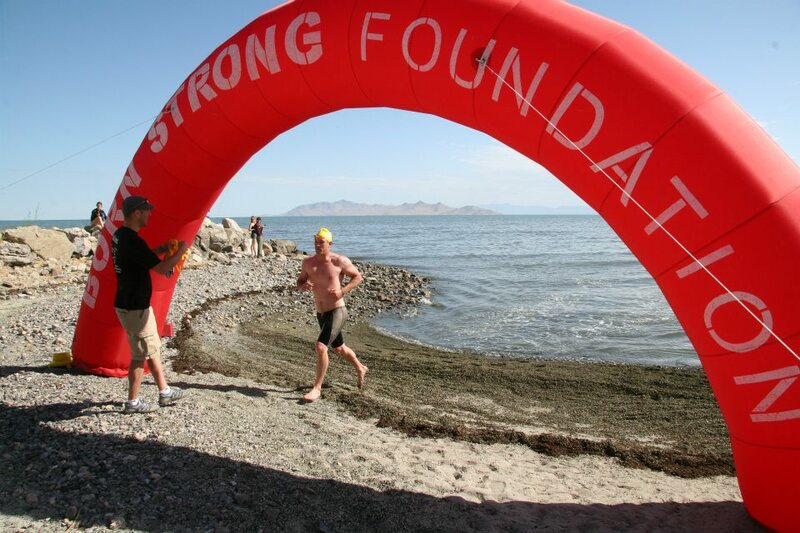 The one mile Great Salt Lake Open Water event was scheduled to start at noon (the same as last year). 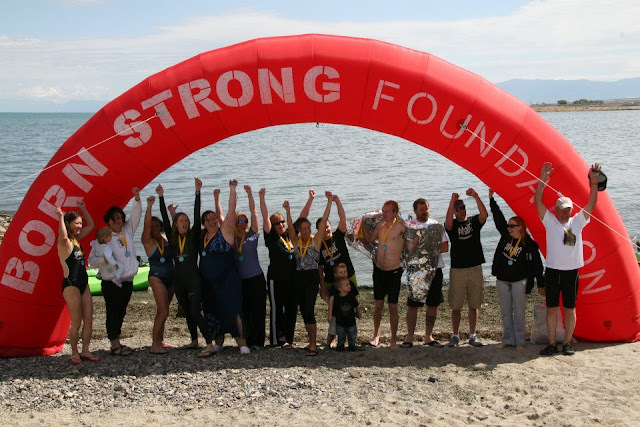 The idea behind starting it at noon instead of earlier was that the one mile swimmers would be able to hand around and see some of the 8 mile swimmers finish. Because of the wind advisories, we decided to move the start time up to 9:00am. It worked out well to start earlier and I think next year we will shoot for a 9:00am start as well. We had a couple hang-ups with paddlers and I had to try to recruit some of the spectators into paddling so that we had enough support on the course to meet the USMS requirements. We had some really great volunteers that took control of the situation and bailed us out. After sorting out the paddler situation, we gave some instructions and answered questions and the swimmers made their way to the starting buoy. We ended up starting the race about 15 minutes late. A few months ago my dad, brother and I bought a timing company, Elevated Racing | Event Timing. Since we had access to an inflatable arch and PA system, we decided to set it all up at the finish line in addition to doing the timing. I think it made the finish line a little more fun, and several people told me that the red arch was much easier to spot than Black Rock. We had a new course record set by Henry Hudson! Despite the wind and the chop, he finished with a time of 22:35! This is my favorite picture of the whole day! The best part of the day for me was seeing several swimmers who had been anxious about the swim and had doubted their ability, finish the race. It was awesome to see how excited and happy they were to have struggled through it and finished despite their doubts and anxieties. There were a few hiccups, but all in all I think everyone had a great time and everyone who started the swim, finished it. There are a lot of people that I need to thank for making this event possible. I want to thank Gordon for all his work in getting this race together (especially the last minute logistics on the 8 mile race). He is a great friend and a great guy to be in business with. My family also deserves a lot of thanks for all that they did to help set up, check-in swimmers, transport swimmers, time the event, help with food, and on and on... Of course it wouldn't have happened without our awesome swimmers and volunteers. This year we had some amazing sponsors. If you get a chance, please check out Pool n' Patio, ojavan, Poler, AquaGear, Elevated Racing, Lifetime, Smith's, Achiva Energy, Splish, Affordable Printing and Utah Paddle Surfing. 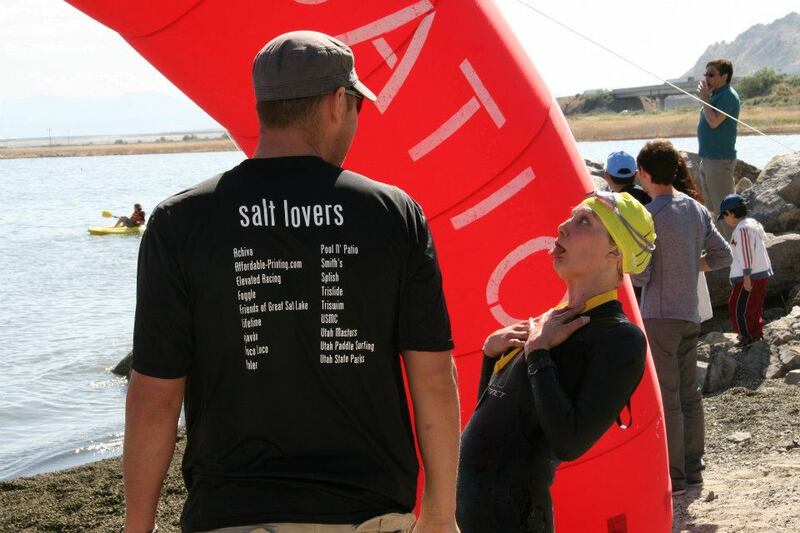 Lastly, thank you to my wife Sabrina who has been VERY understanding and supportive of not only this event, but all of my swimming adventures.